"Yoga" means union that brings an incoherent and scattered mind to a reflective state for communion of the human soul with divinity. It ensures optimal condition of every aspect of life, be it body, mind, energy or soul. Let's explore in brief the eight stages of Yoga that promise not only health, but answers to all imaginable existential predicaments of the human mind. Yoga is not only for India, it belongs to the world! 1. Yama is the first stage that purifies the mind with great vows of non-violence, truth, non-stealing, continence and non-covetousness. This is essential to avoid doubt and restlessness of the mind before progressing to further demanding levels of practice. 2. Niyama are rules for purity, contentment, austerity, study of the scriptures and surrender to a higher power. These virtues calm the disturbed mind, make one cheerful and enhance mental power to discipline the senses. 3. Asanas are achieving perfection in posture and flexibility of the human body through performing certain poses and postures and pushing the limitations of the body each time. Asanas bring health, beauty, strength, firmness, lightness, clarity of speech and expression, calmness of nerves and a happy disposition. 4. Pranayama is conscious regulation of breath through different exercises that bring the mind and senses under control. Yogis believe that the breath is the key to our thoughts and they worked endlessly on different techniques of inhalation and exhalation to achieve perfect steadiness of the wavering mind. 5. Pratyahara is the subtle technique of disciplining our thoughts as yogis fully understood the dangers of an untamed and uncultured mind. Since the mind affects the quality of our lives, this practice quiets the senses and draws them inward in order to find a space of inner peace and tranquility. 6. Dharana is concentration on a single point, or total attention on what one is doing, the mind remaining unmoved and unruffled. It stimulates inner awareness to integrate ever-flowing intelligence and release all tensions. 7. When Dharana continues for a long time, it becomes Dhyana or meditation, the seventh stage of Yoga. This is an indescribable state that has to be experienced to be understood. 8. When meditation is maintained without interruption, it merges into Samadhi where the practitioner loses consciousness of his body, breath, mind and ego. He lives in infinite peace and not only is he enlightened, but he illumines all those who come to him in search of truth. It's quite apparent that Yoga is not just twisting the body into funny shapes or even meditating to calm the mind, it is the conclusive science of exploration of one's true nature and the end goal is not just Samadhi, but liberation. In this state, there is no fear, doubt or confusion, but pure happiness and contentment. Our purpose is to know ourselves, our true selves and immerse into the ocean of eternal love that flows, without exception, in every beating heart. Vritika lives in India where she immersed herself in authentic principles of Yoga and meditation through intense study, reference reading and oral teaching. Having learnt and taught the benefits of meditation in modern life, she aims to bring peace and well being to people in innumerable ways demonstrated by Yogic wisdom. Her personal blog, https://mindfulnesswithin.wordpress.com/ is a culmination of her passion and efforts to promote the ancient science of Yoga in its purest form and highlights her love for Indian culture. 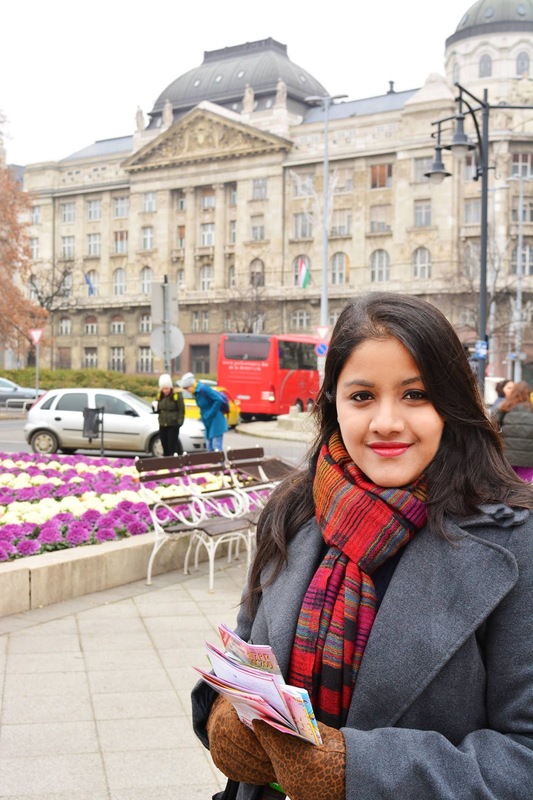 Vritika also loves writing, photography, reading and is pursuing classical music. Oh thank you very much! I found new tricks for me, thank you. Also i wanted to share with you one useful source. Here my friend found https://yogalifestyles.com/plant-based-protein-powder-review/ plant based protein powder reviews so I think about it will be intresting for you. A way to maintain a healthy mind and body is prenatal yoga. Prenatal yoga focuses on poses for pregnant women, in order to increase strength and flexibility. It also helps Yoga for pregnancy pregnant women to develop proper breathing and relaxation techniques for easier and more comfortable labor. Nokia - sorry about that, sounds like there is a glitch. Does it only happen to you on this post? Thanks for the lovely post, I was only known about Asanas and Dharana. After reading your post now i was able to well-known about all 8 stages of yoga.